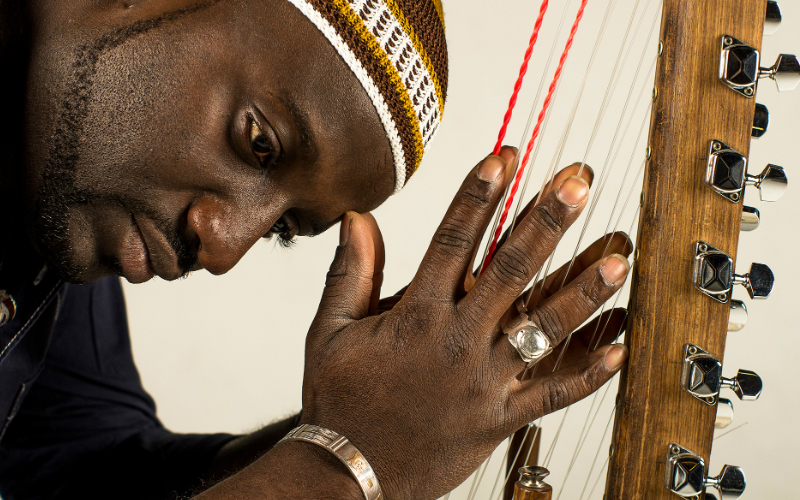 The world premiere of music by Senegalese master kora player Seckou Keita, arranged for a small ensemble of piano, cello, double bass and flute in a unique concert that blurs the boundaries between the musical traditions of West Africa and Europe. Over the last year, Seckou has worked intensively with arranger Alex Wilson to translate the complexity and glorious verve of his music to an ensemble of western instruments. Following an introduction and performance by Seckou on kora, the new material will be performed for the first time by Sinfonia Cymru musicians Abel Selaocoe (cello) and Helen Wilson (flute), award-winning jazz pianist Zoe Rahman, and Paul Moylan (double bass).